Quaint lot near Cormorant in the Detroit Lakes area. 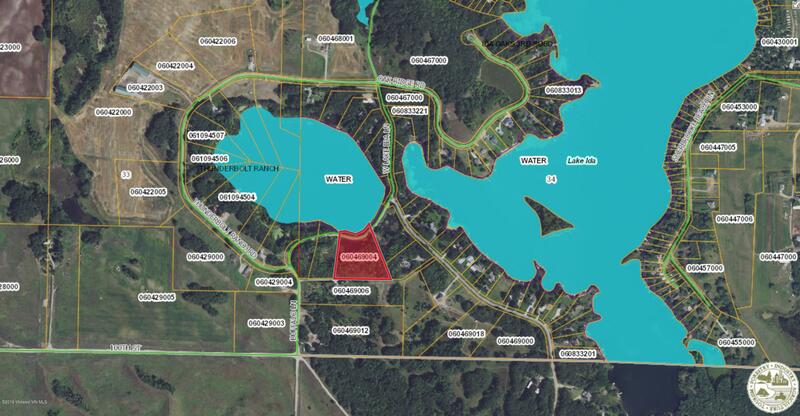 Great lot w/lake access to build your dream home on. Located in the heart of lakes area. It's hard to find a lot with lake access for this price! Directions: From Roadhouse Bar near Cormorant Mn, go west on Cty Hwy 4 1 mile turn left onto W Lake Ida Lane, go 1 mile and follow W Lake Ida Lane right and proceed 1/2 mile. Turn right onto Buffalo Lane. Proceed 1/10 mile and lot is on south side of road off to the left.